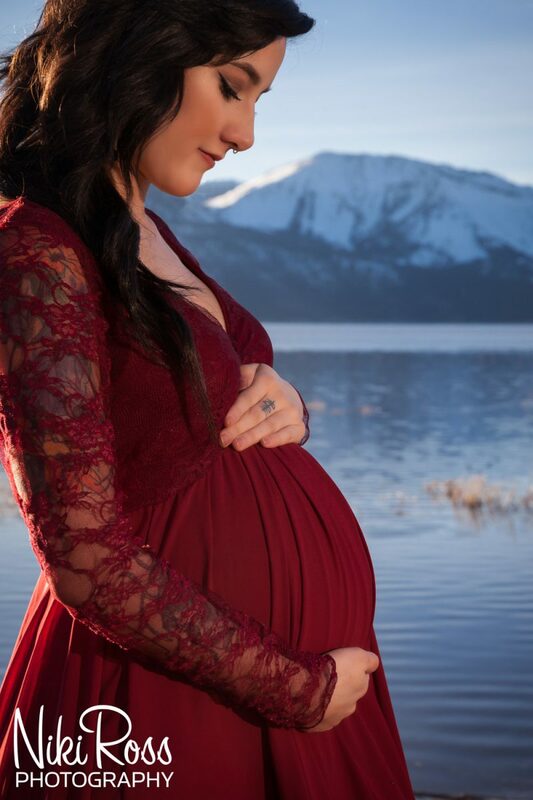 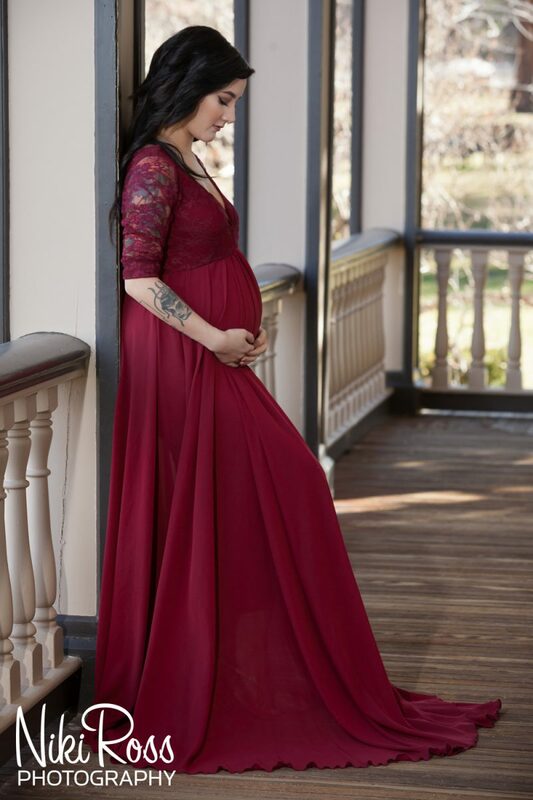 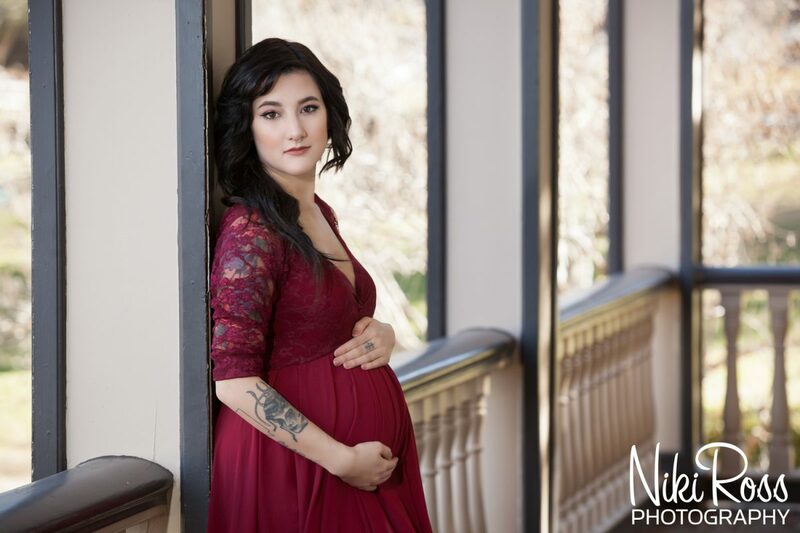 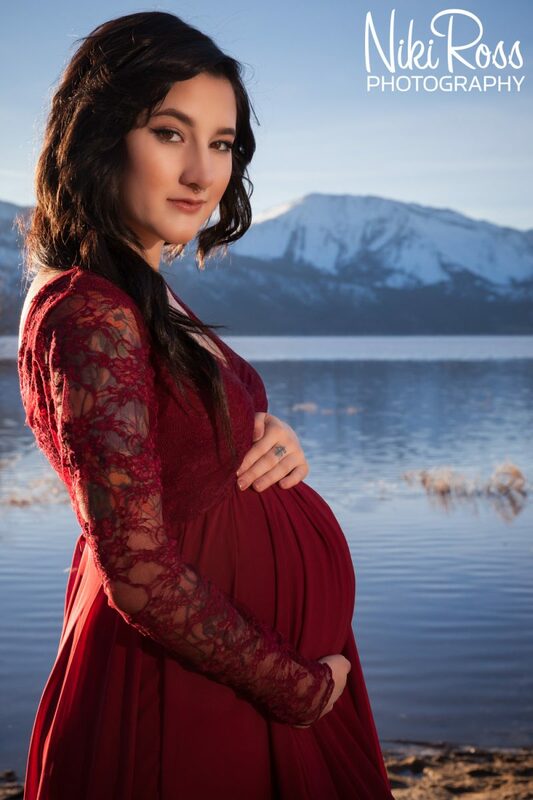 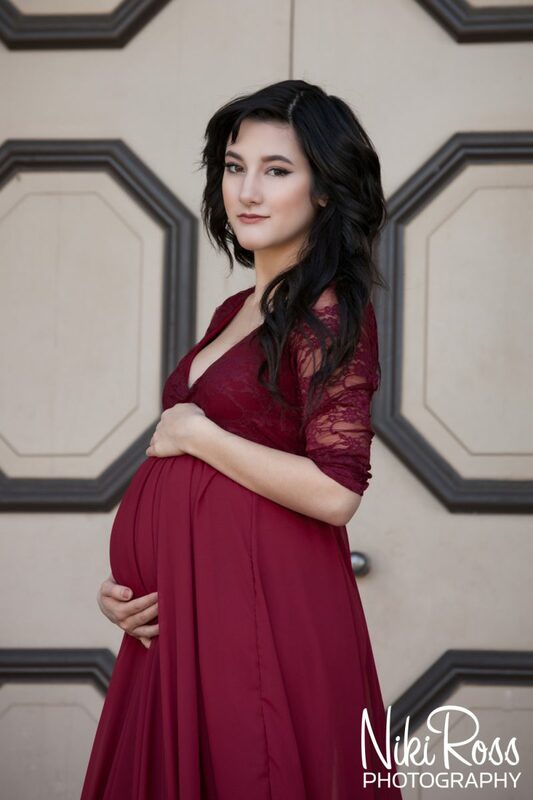 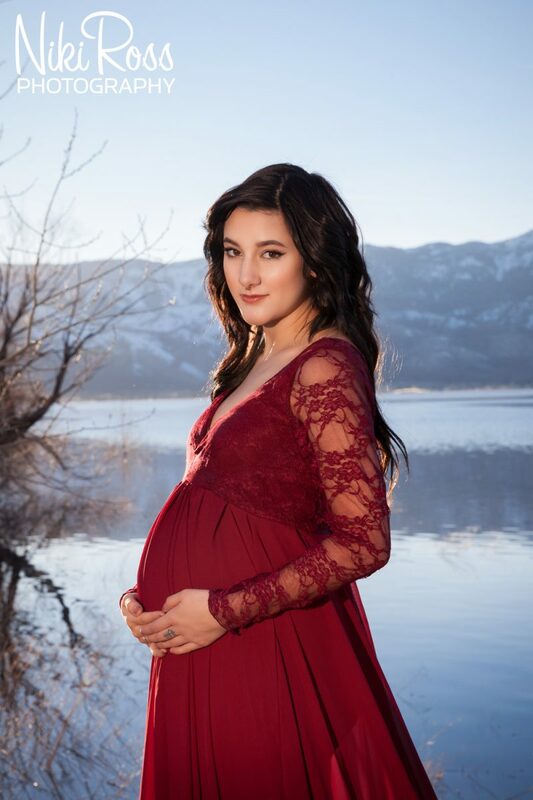 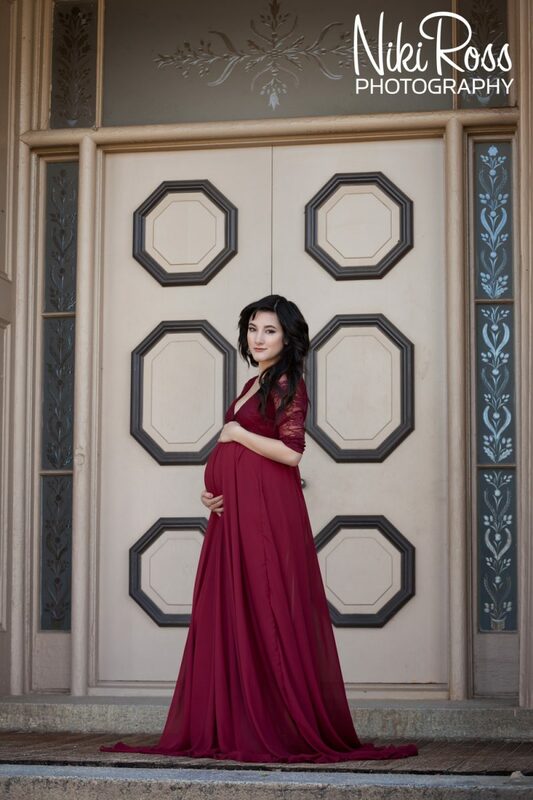 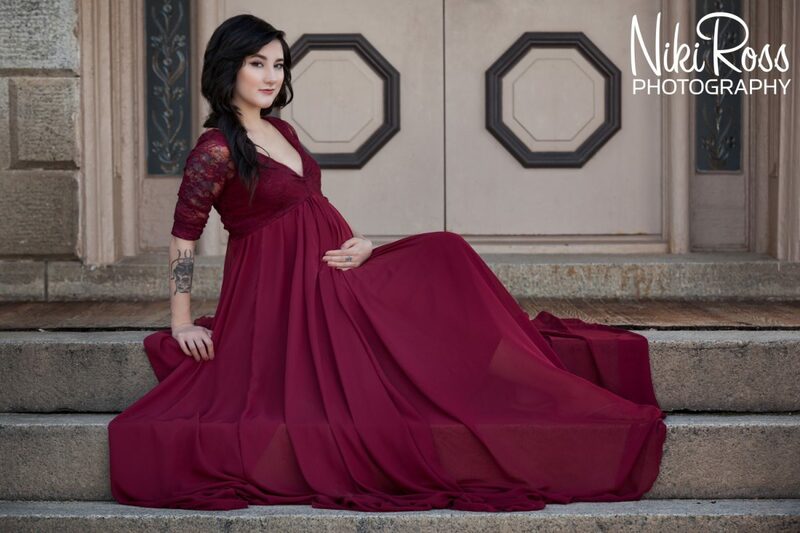 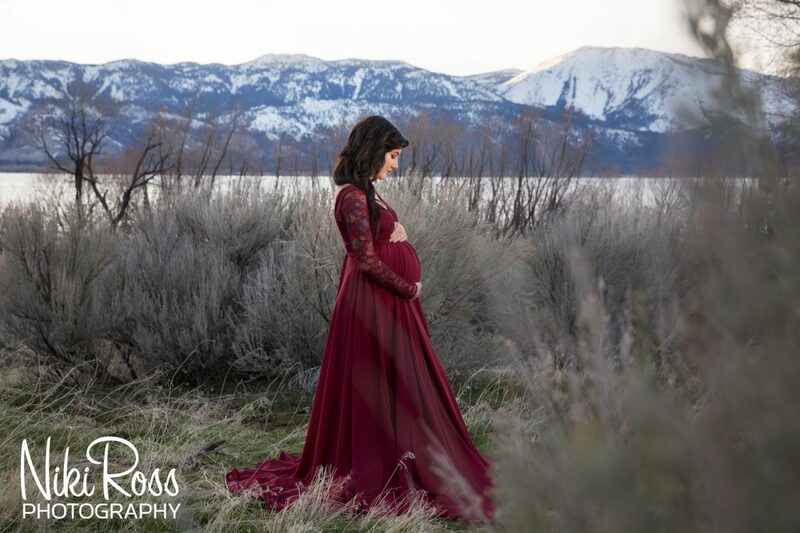 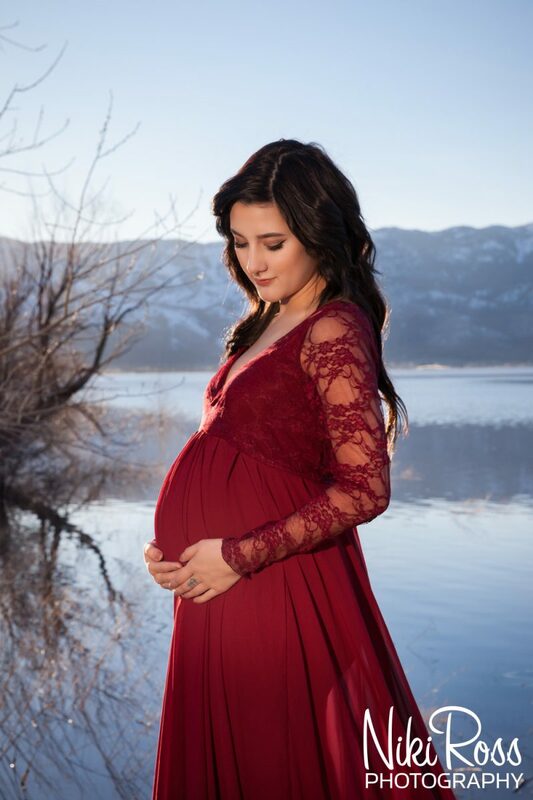 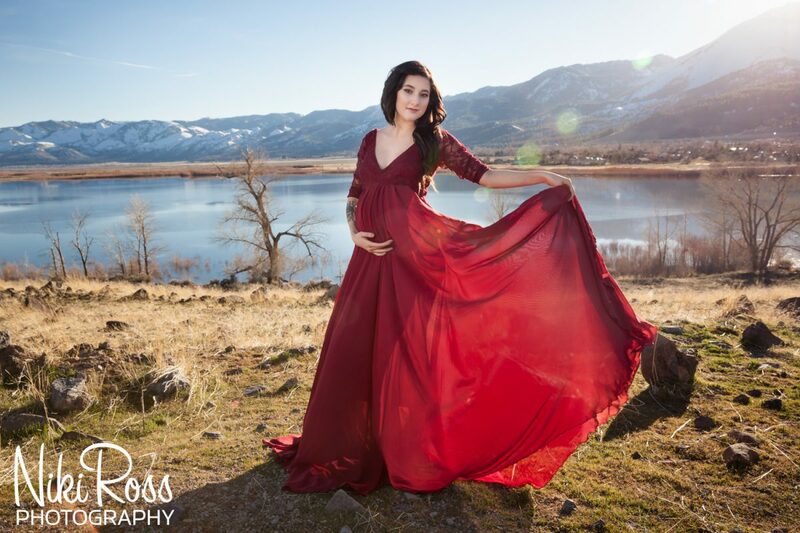 For this Nevada maternity portrait session with Haley, I brought up the idea of renting a custom gown. 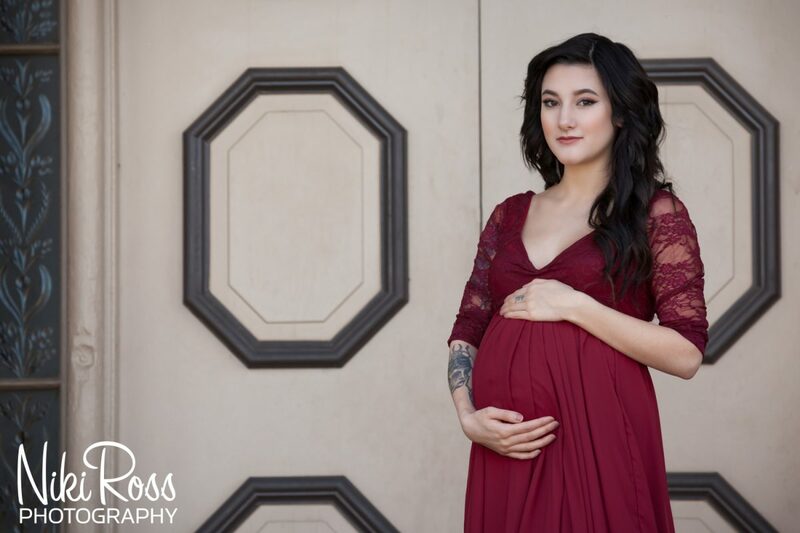 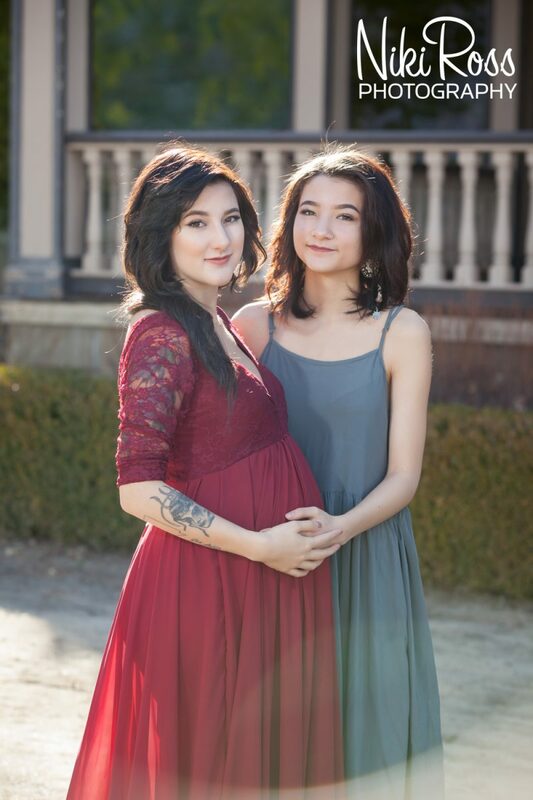 Mama Bump Rentals in an online service that I recently heard about at WPPI – Wedding and Portrait Photography Expo, and I figured this would be the perfect chance to try out the service. 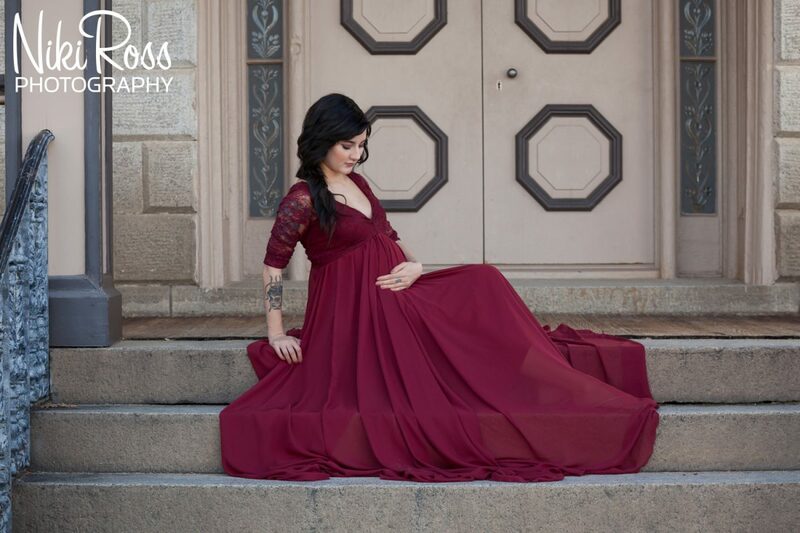 Haley browsed the website and eventually found the dress of her dreams. 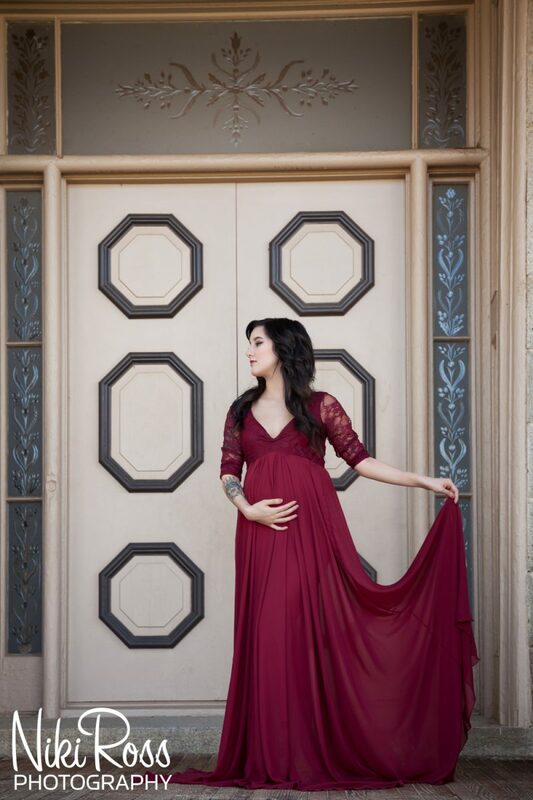 The stunning red long gown had flowing fabric and lace sleeves, totally classic and elegant. 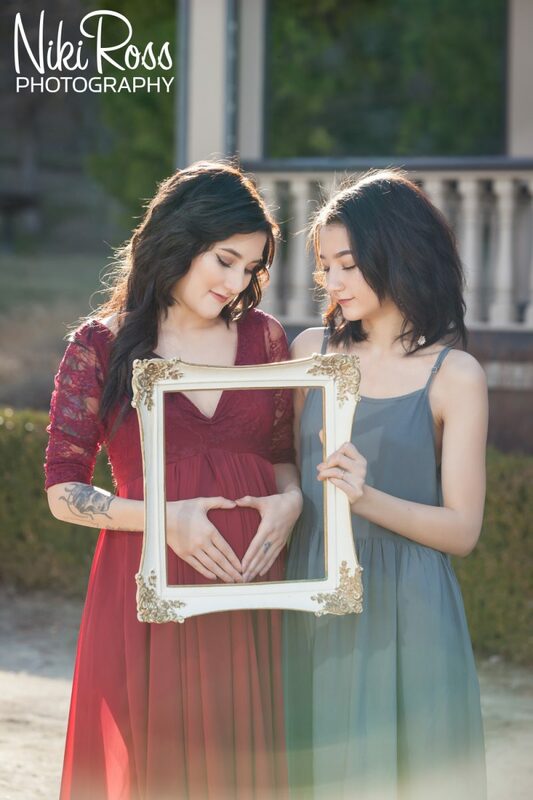 I was so excited with her decision. 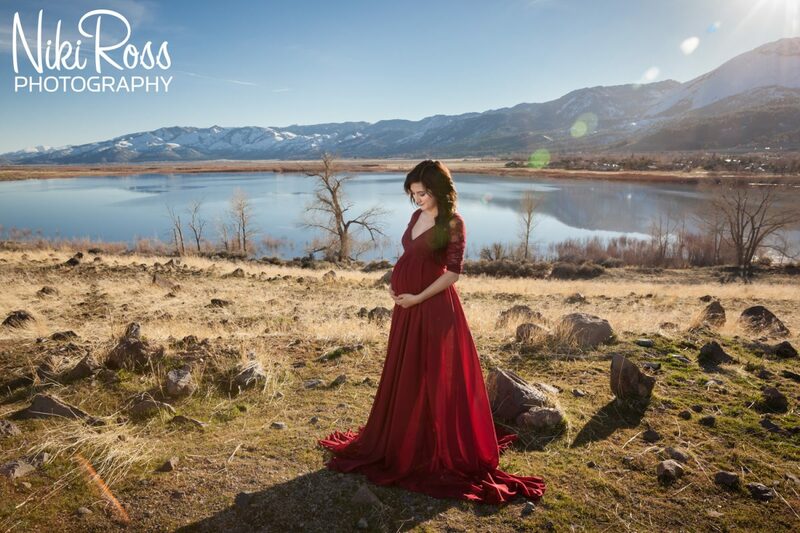 After going back and forth on multiple location ideas, we finally settled on the perfect plan. 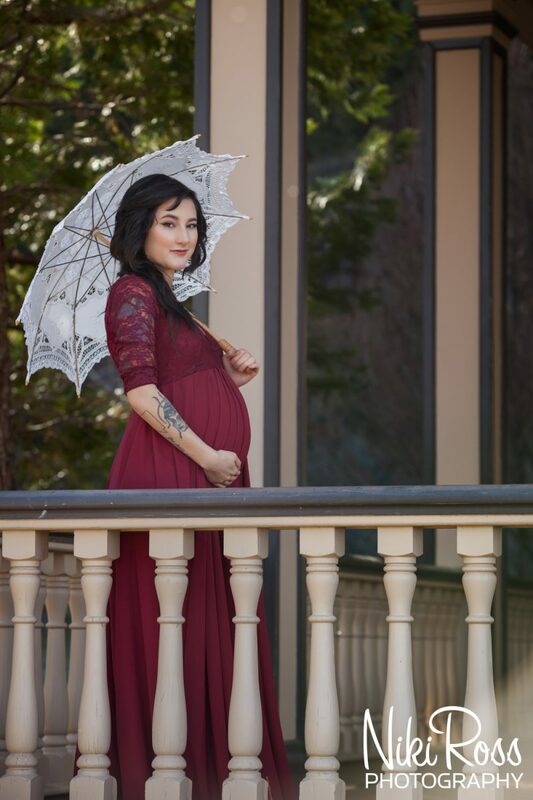 We decided we would meet at Bower’s Mansion in Washoe Valley. 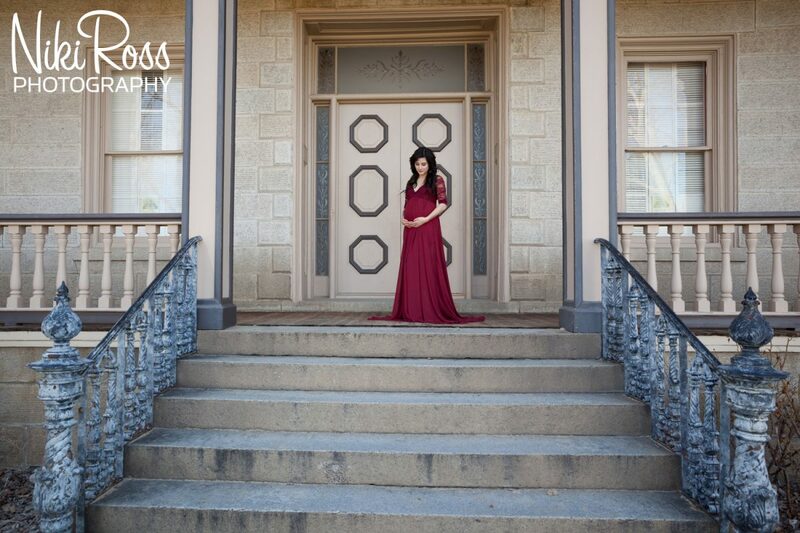 The historical mansion also serves as a park and Haley used to play at the park when she was a kid and she knows her son will play there as well. 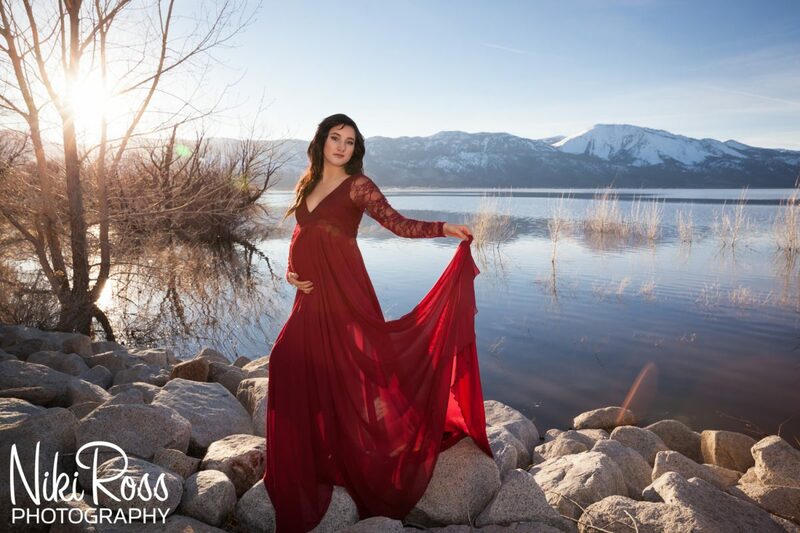 From the mansion, we ventured over to Washoe Lake and found several different locations to really show off the majestic Nevada backdrops. 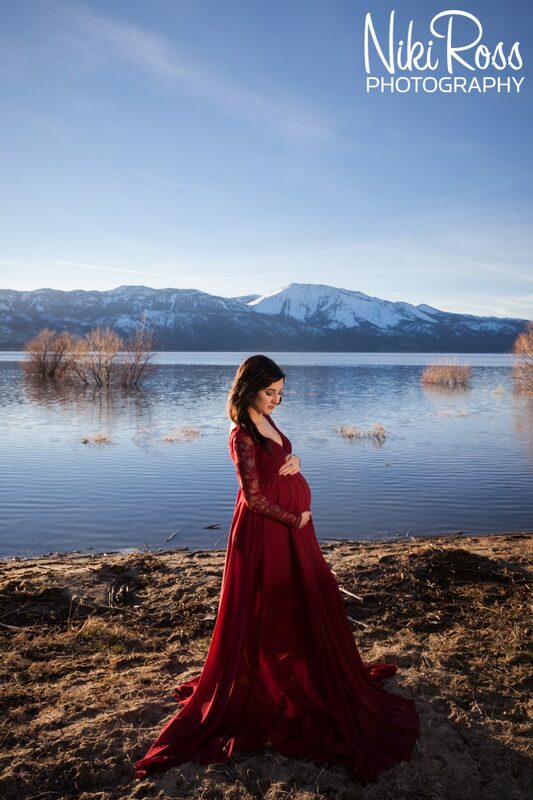 With snow in the mountains, reflections in the water and the sun about to set, it was magical. 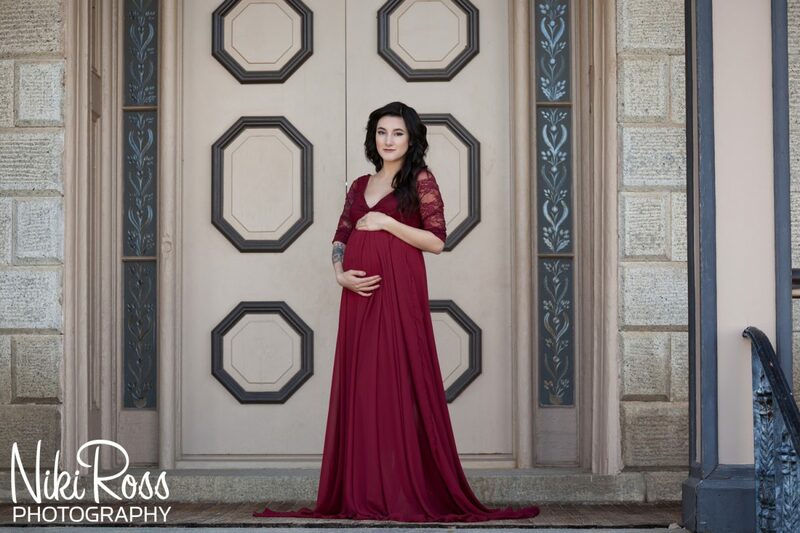 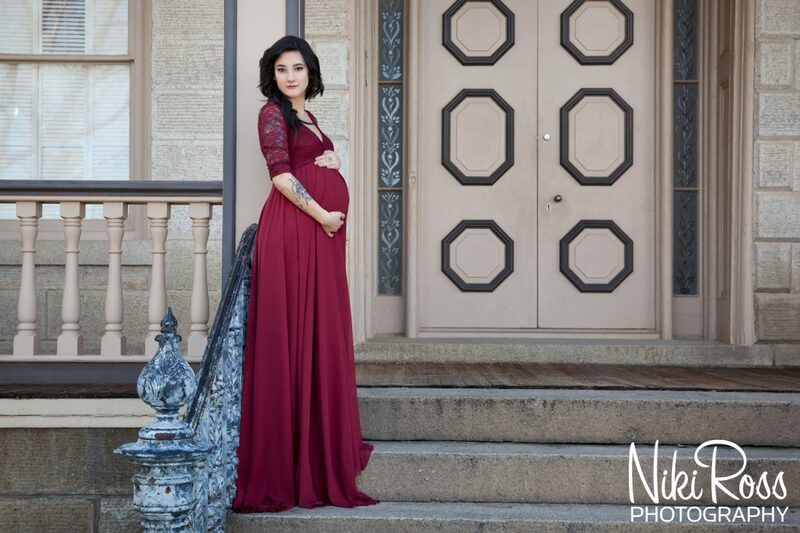 The dress from Mama Bump Rentals was perfect for this maternity portrait session and Haley was simply glowing. 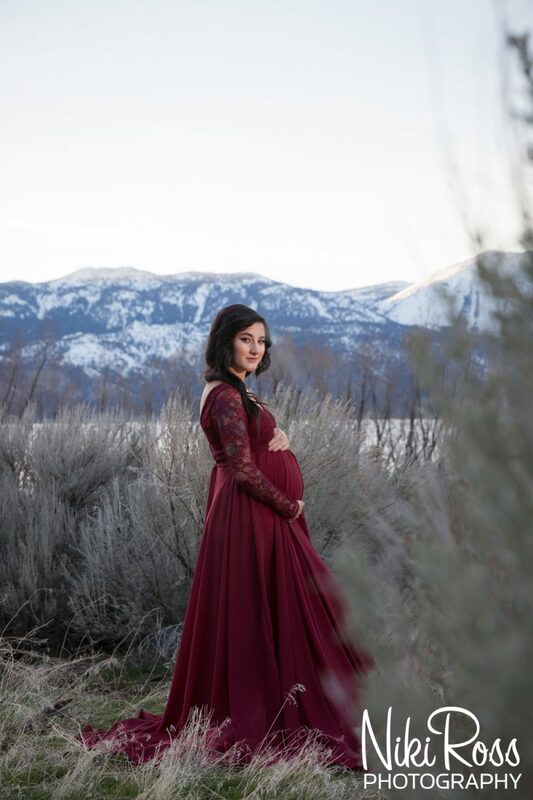 Congratulations to the growing family and I can’t wait to meet the little man. 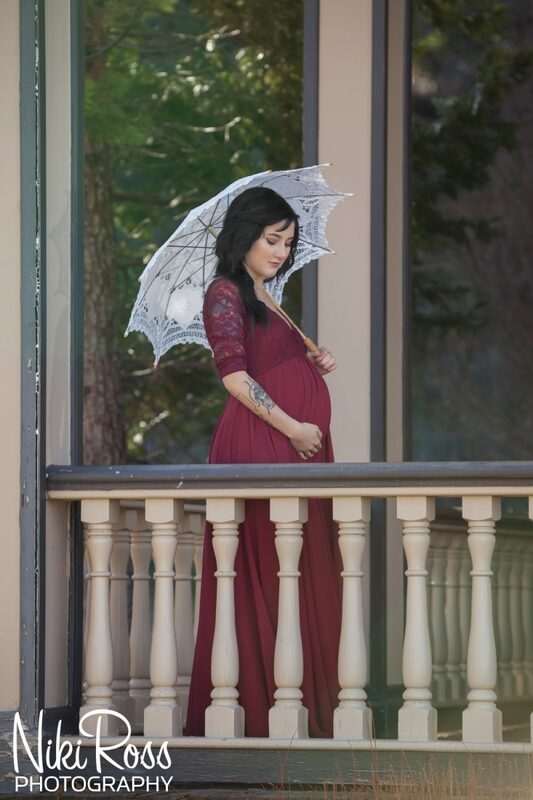 Next Next post: Elopement in Virginia City Nevada – Tiffany and Jacob Got Hitched!